Located on the Pacific coast of Mexico, few places on earth are as beautiful and as historical important as Acapulco. Sightseeing in this city is a hugely enjoyable historical experience, offering both modernity and history. There is something to suit all historical tastes in one of the most charming cities in Mexico. From beautiful architecture to striking monuments, there are plenty of inspiring sightseeing opportunities whilst on your historical van tour. Start your tour at the lobby of your hotel or cruise ship pier. Your professional tour guide will be holding a sign with your name on it. 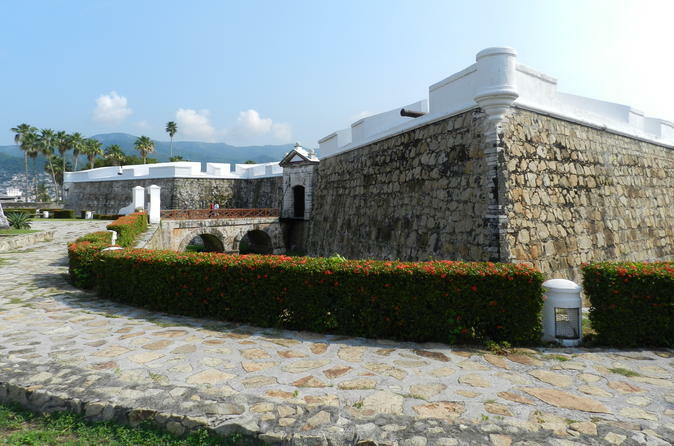 Travel in a fully air conditioned van, and head to the fortress of San Diego built in the year of 1616 by the Spanish Crown. After a thorough explanation of the site by your knowledgeable tour guide, head to see the Acapulcan show by the High Cliff Diver, an spectacle that contributed making of Acapulco what it is today. Once the show is over, go to the Exekatlikalli House. The iconic mansion is one of the most important cultural attractions in the destination as it houses the last six murals by Rivera, including a naturally colored Aztec serpent mosaic on the mansion's façade. The House of Winds, purchased by the National Council of Culture and Arts and the Carlos Slim Foundation, intends to promote the destination's cultural identity as well as cultural exchanges with other cities and countries around the globe. You will also stop at the "Zocalo", Acapulco´s main square to visit the Our Lady of the Solitude Church, the most important church in Acapulco with an outstanding and original architecture. Delight in the option to do some shopping before being taken back to where you started the excursion.